Ladder 22 from the Vancouver Fire department seen here outside the Fire hall. 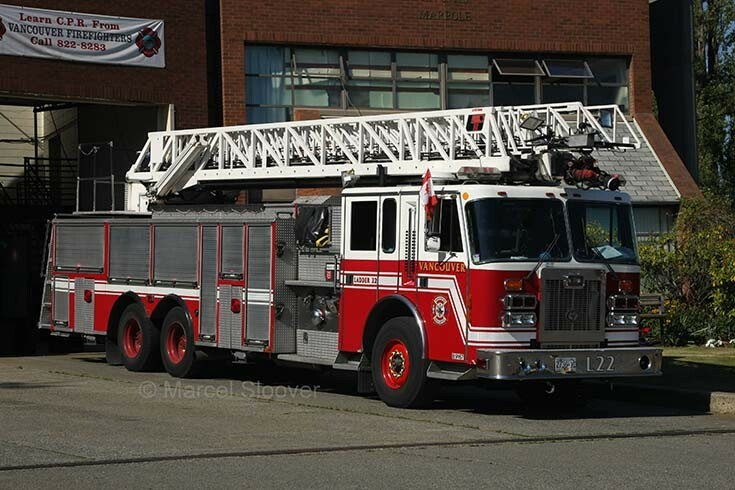 This ladder was built in 1994 on a Simon Duplex 5269-93 Tandem chassis by Anderson Engineering and LTI. Pump capacity 1500 gallon/minute. Tank contains 150 gallons of water and 40 allons of foam. The ladder is 110 feet. License plate 2736XD. Special thanks to the Fire crew for their help during my visit.